No matter what taste you have whether traditional or contemporary, we offer tailored fire surrounds for your home. With all work guaranteed, you know you can rely on Select Fireplace and Stove Company Ltd.
With over 30 years’ experience installing and replacing fireplaces, you’ve come to the right place. 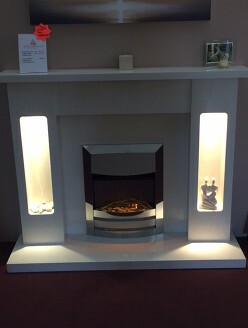 We offer a range of fire surrounds, including marble, limestone and wood, with range of designs from some of the finest brands. Visit us in Dundee today.